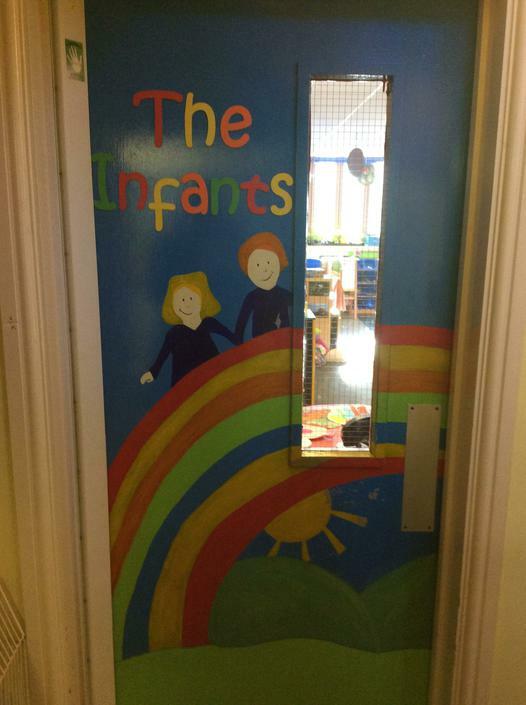 In our classroom the fun starts as soon as you walk through the rainbow door! 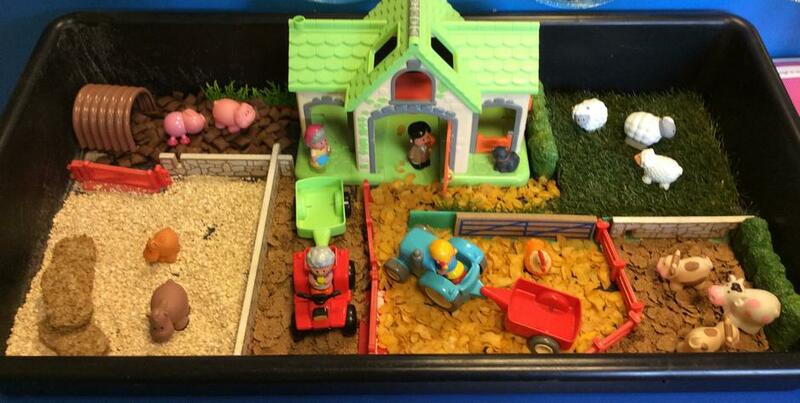 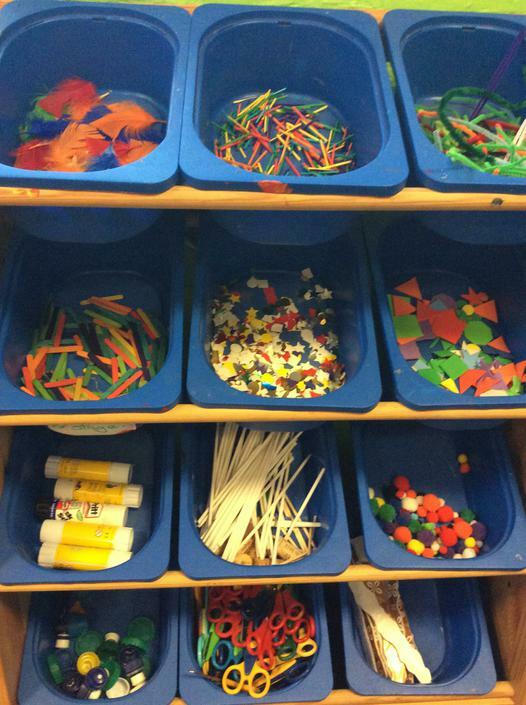 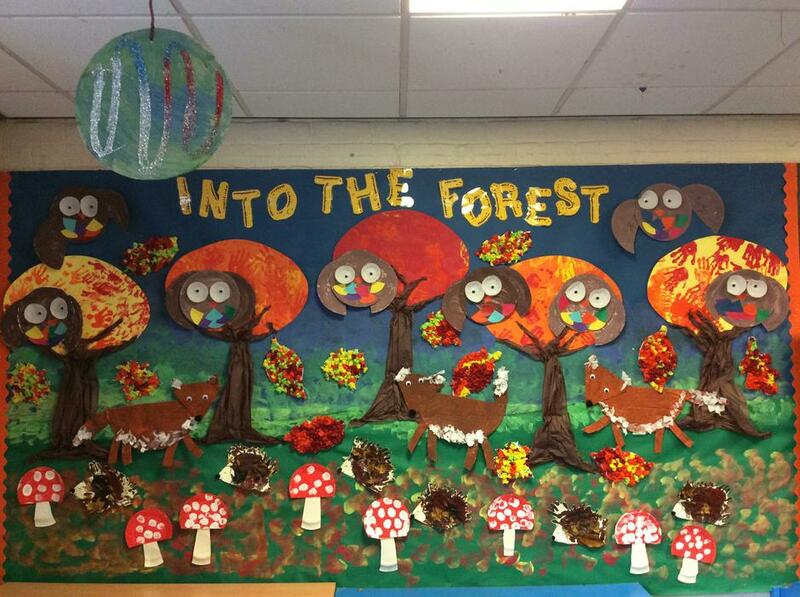 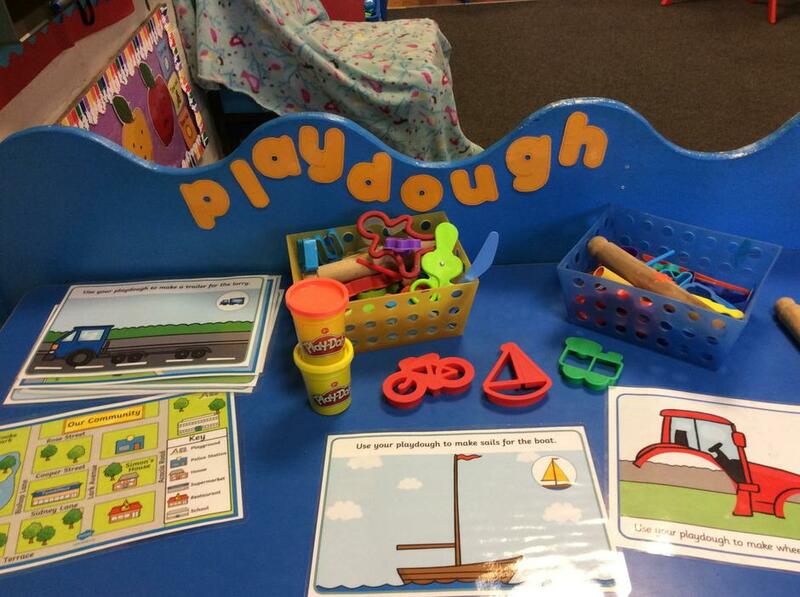 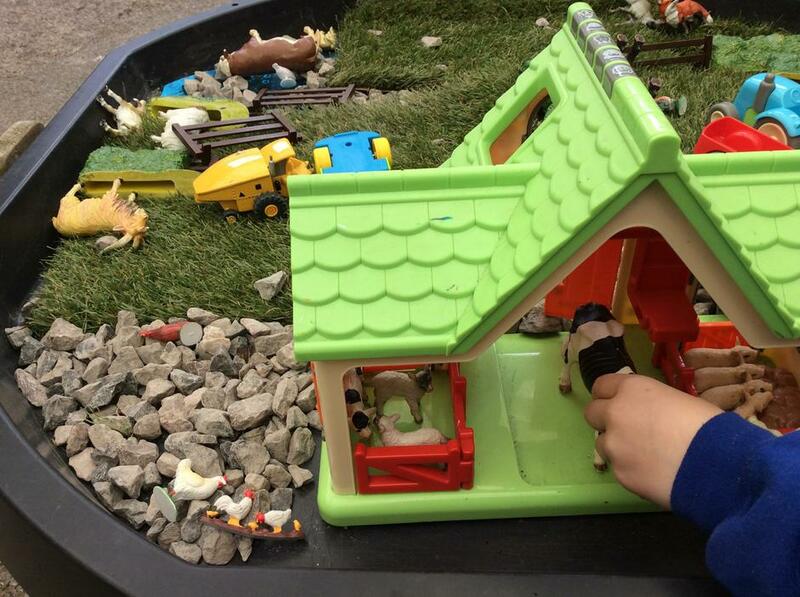 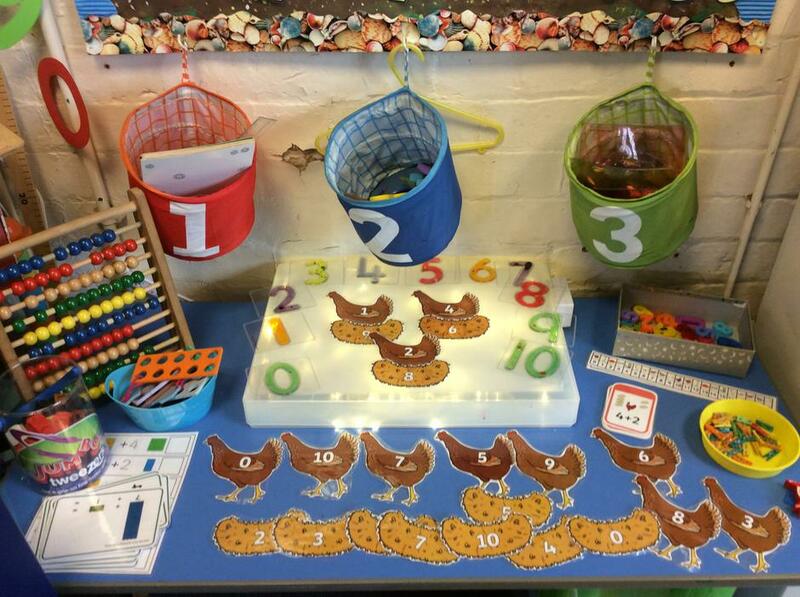 We follow the Early Years Foundation Stage (EYFS) Curriculum which is all about learning through play. 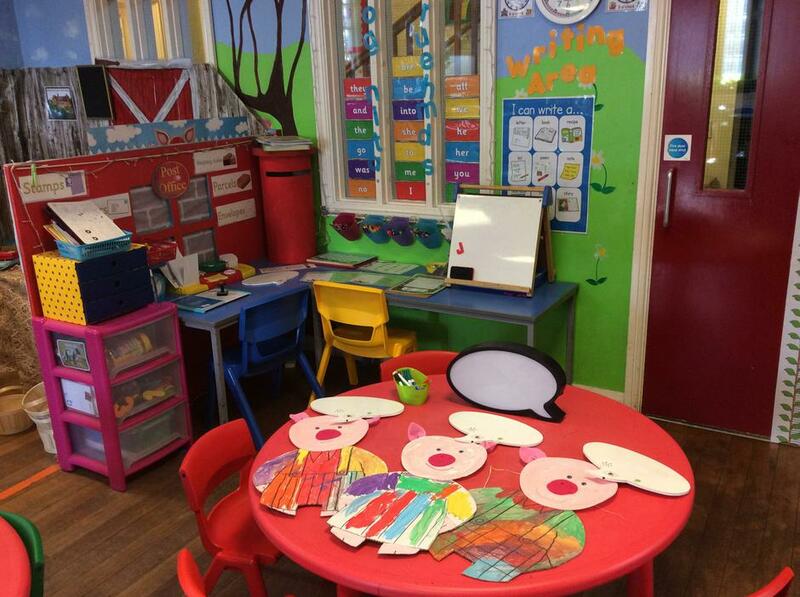 Our classroom is vibrant and colourful, with murals on the walls and plenty of space where we can display our own artistic creations. 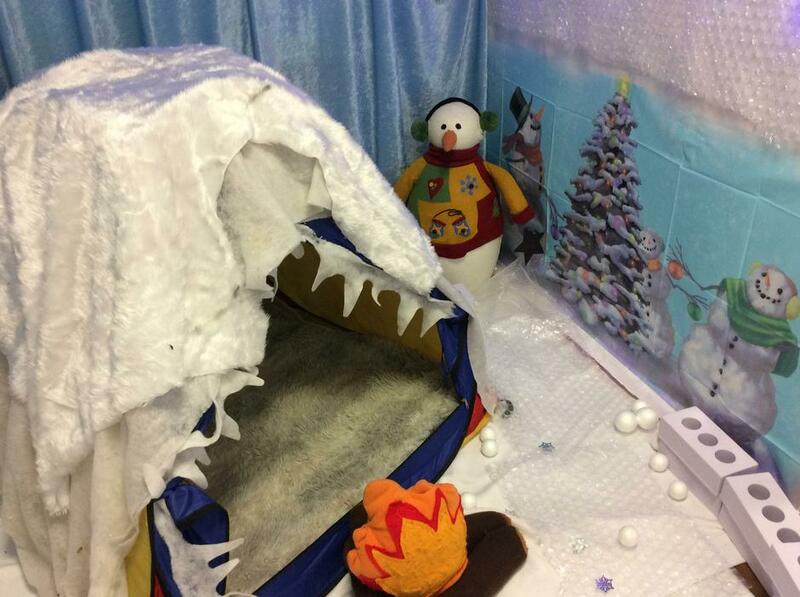 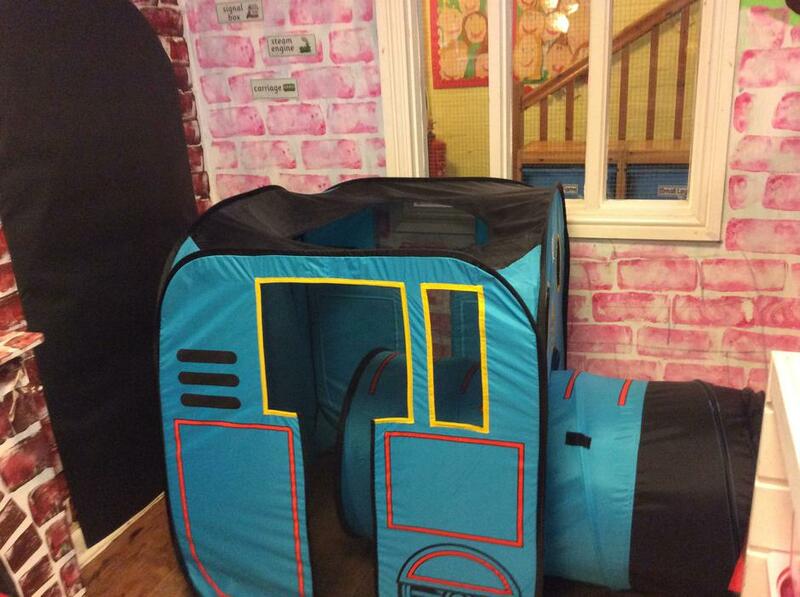 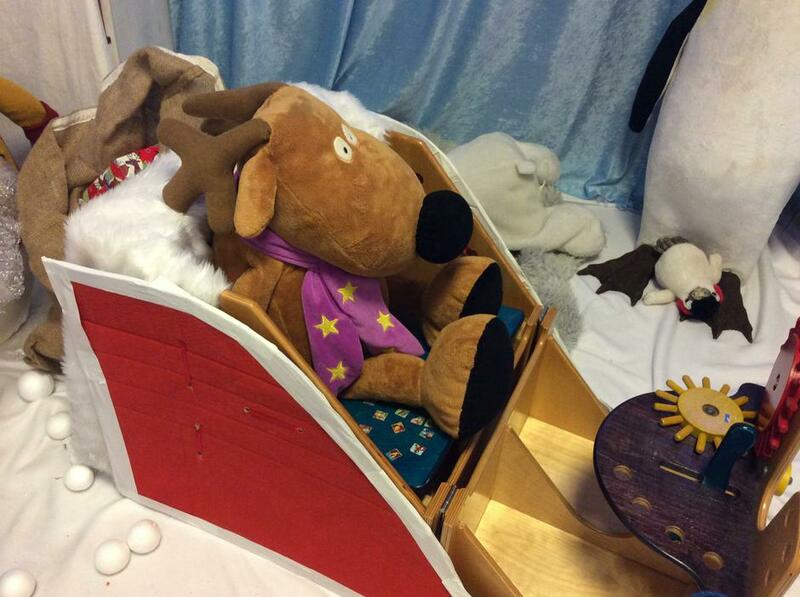 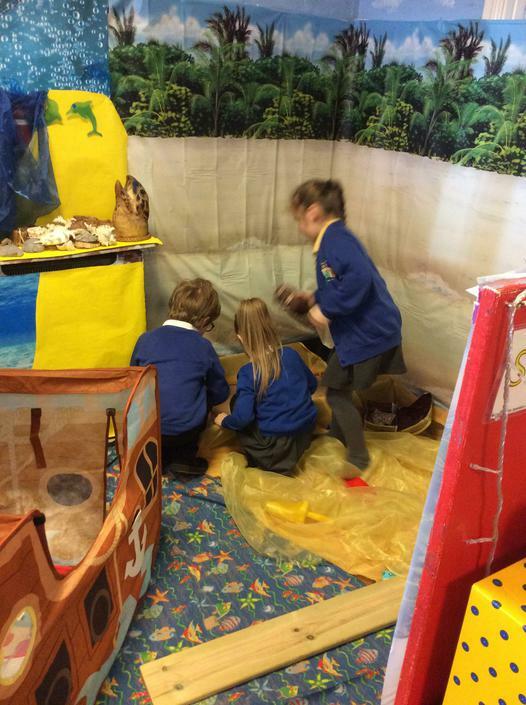 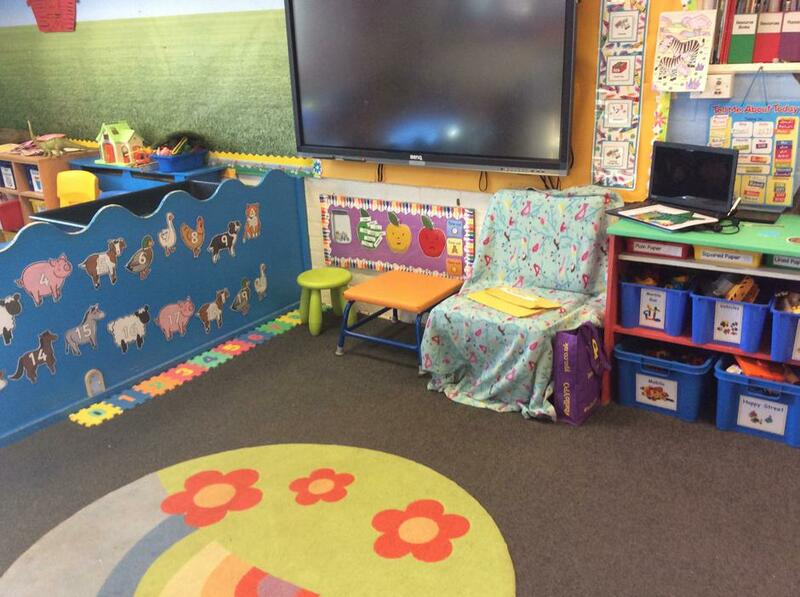 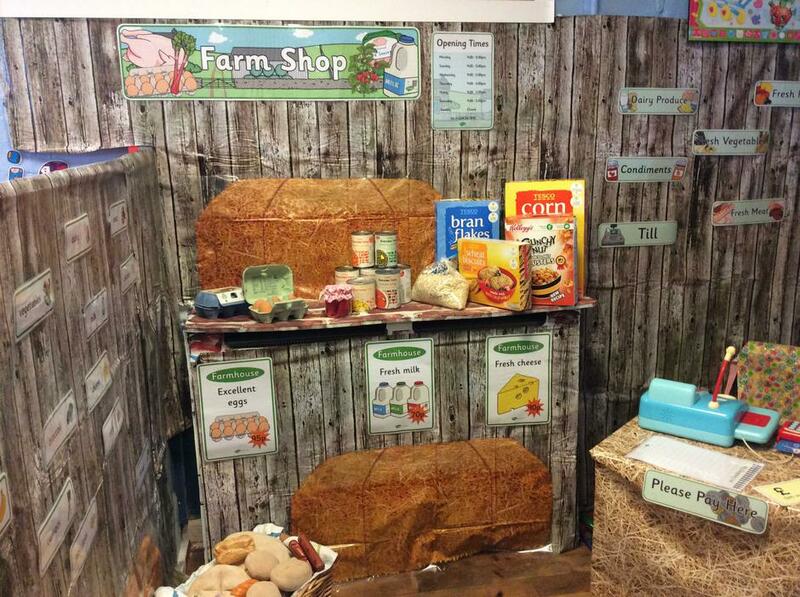 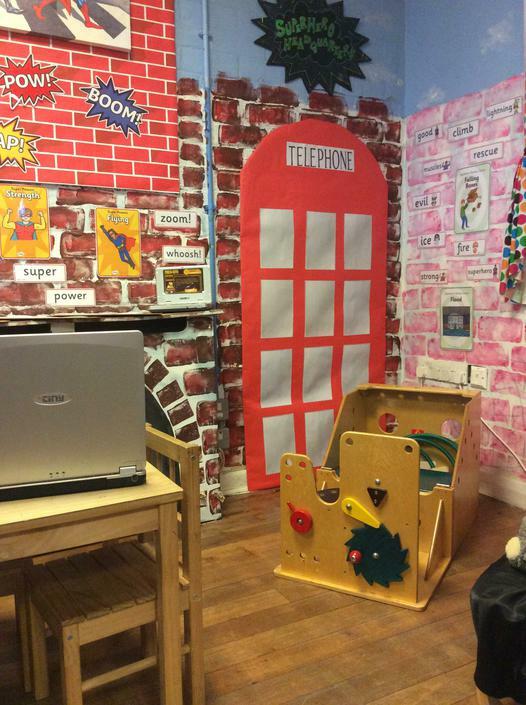 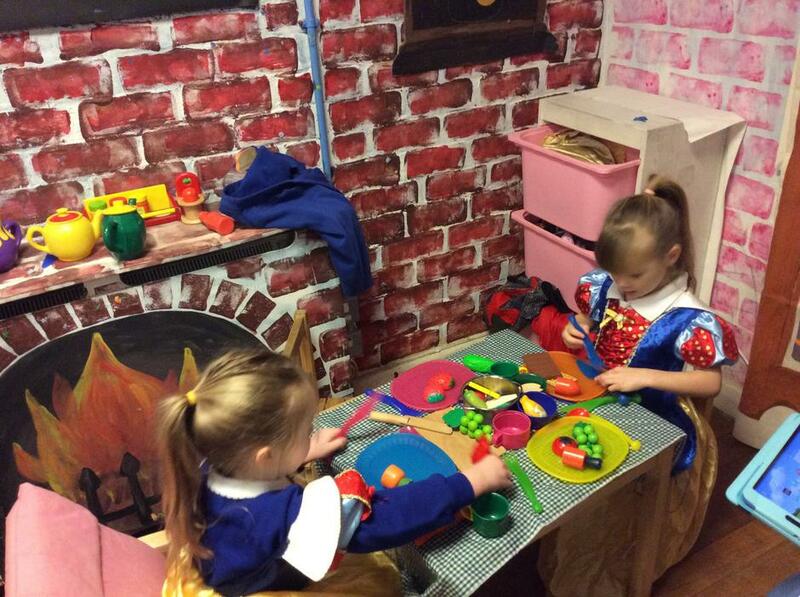 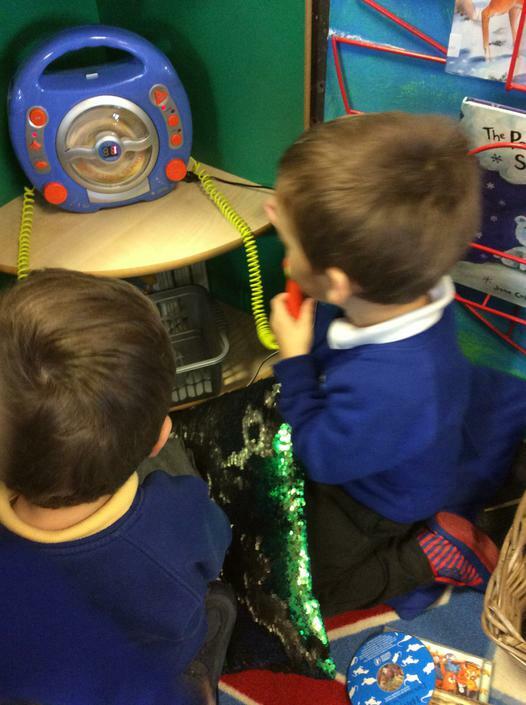 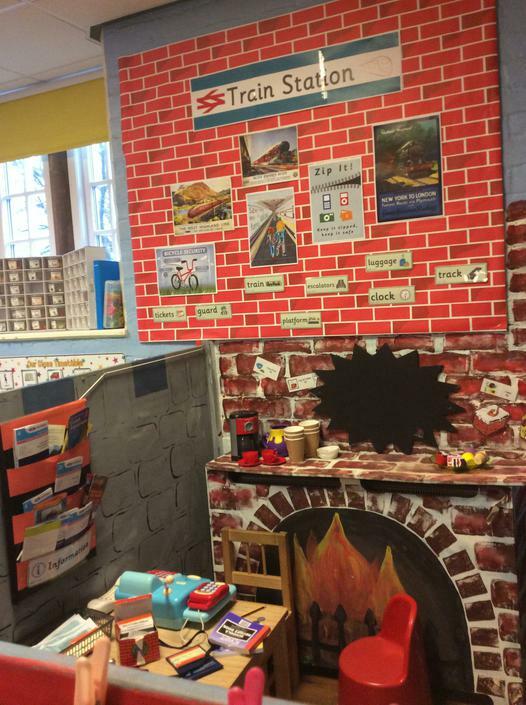 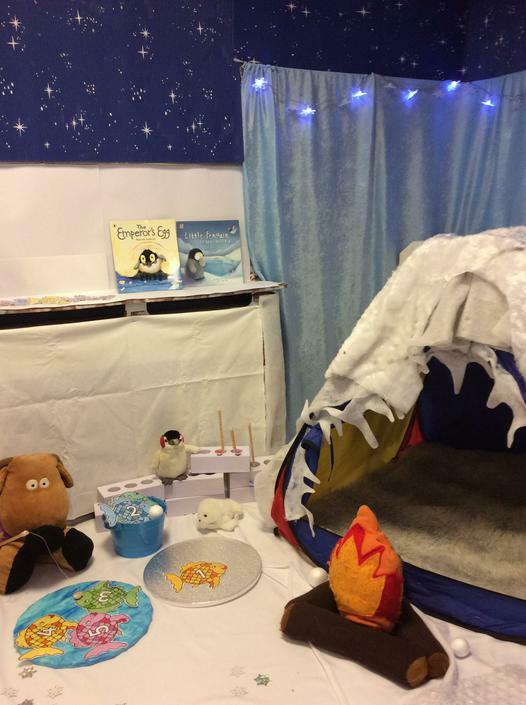 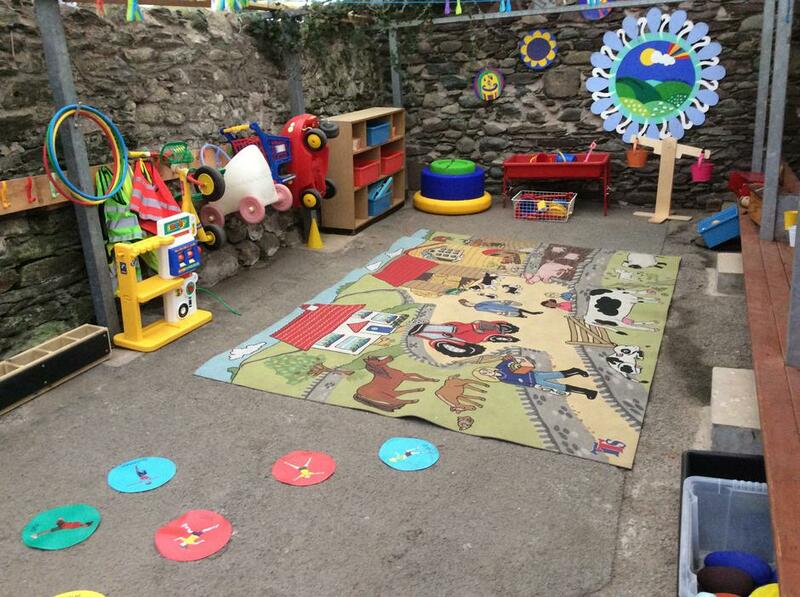 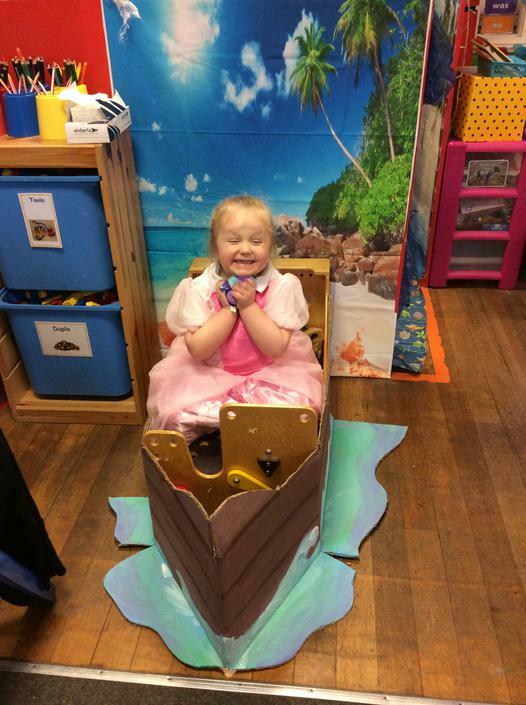 We have a large role-play area which becomes something different every half term. 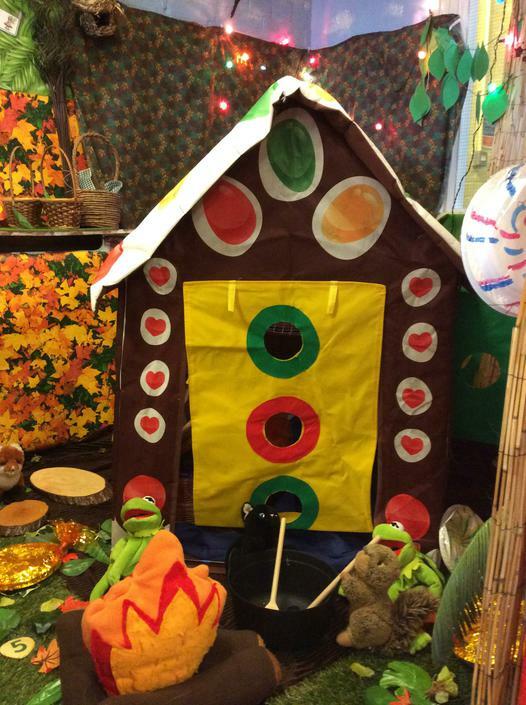 It could be a cottage, a desert island or even an enchanted forest! 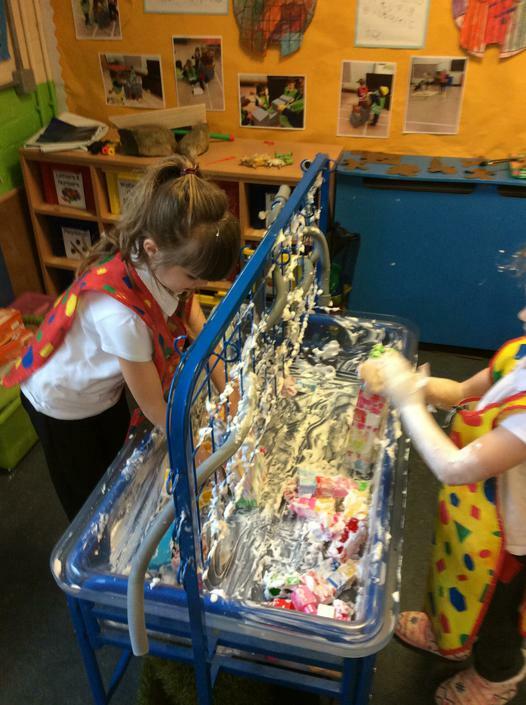 Whatever it may be, it allows our imaginations to soar as we create fabulous stories in our play. 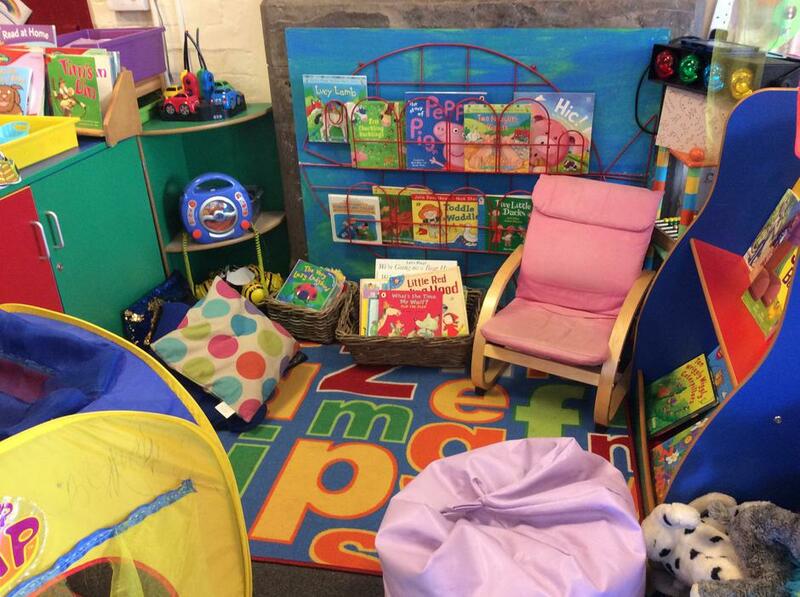 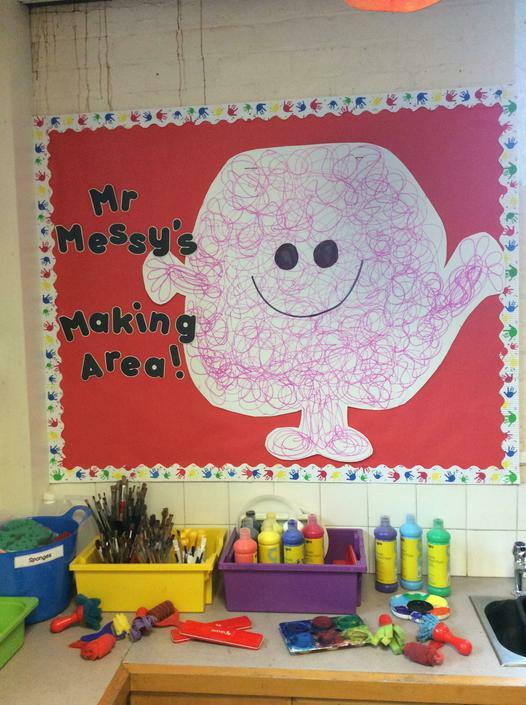 We have spaces to read, write and count, listen to music, plenty of opportunities for sensory play, our own bank of Hudls, a fantastic interactive touch screen and a messy area where we can create models or paint. 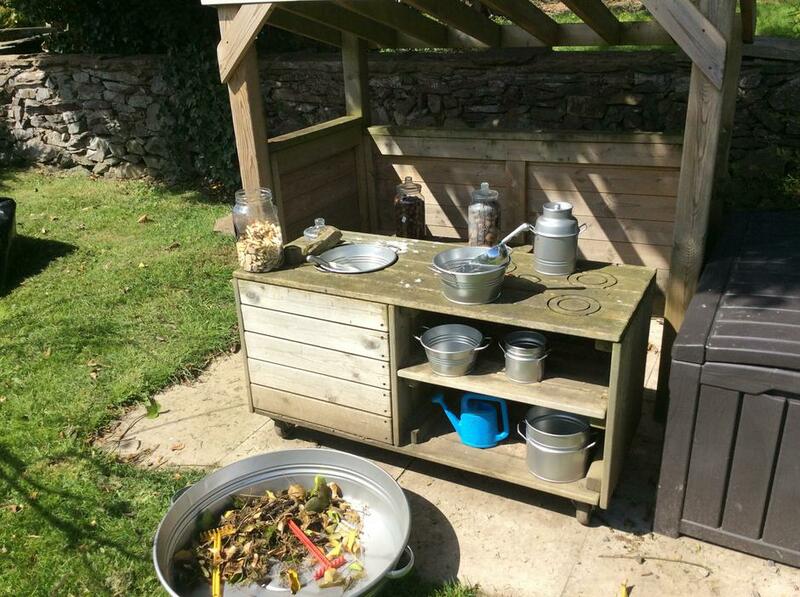 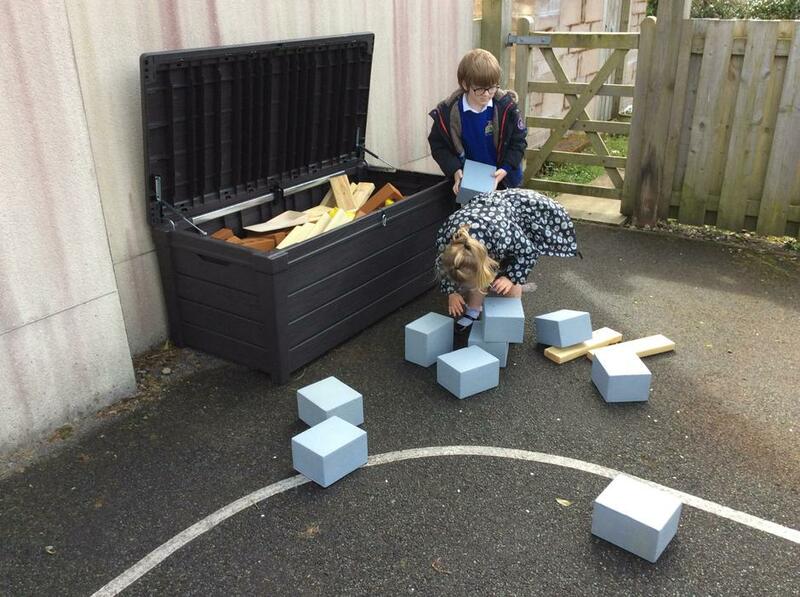 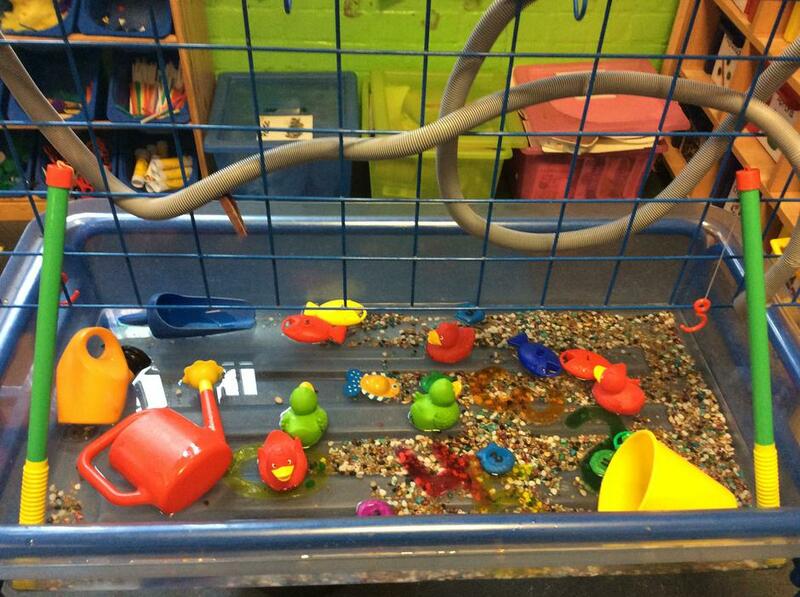 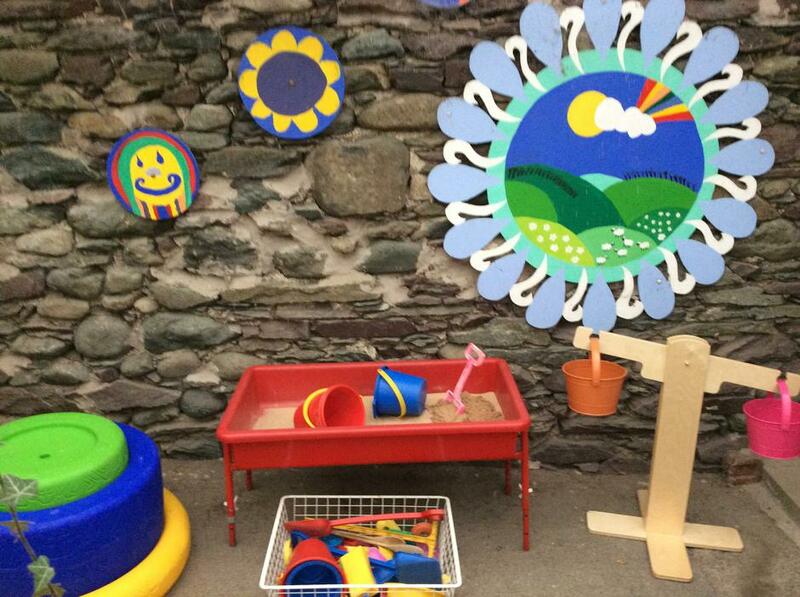 Outside, we have a covered outdoor classroom with a sand tray, water tray and large and small musical instruments. 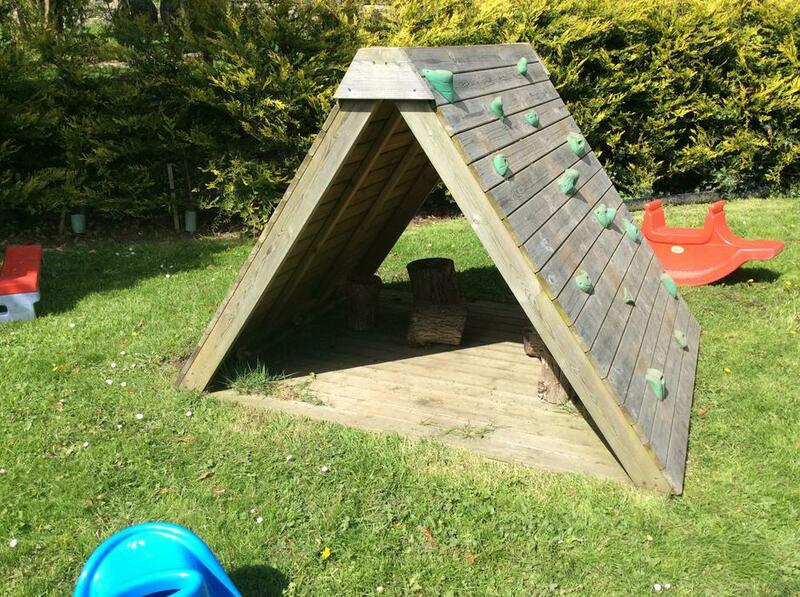 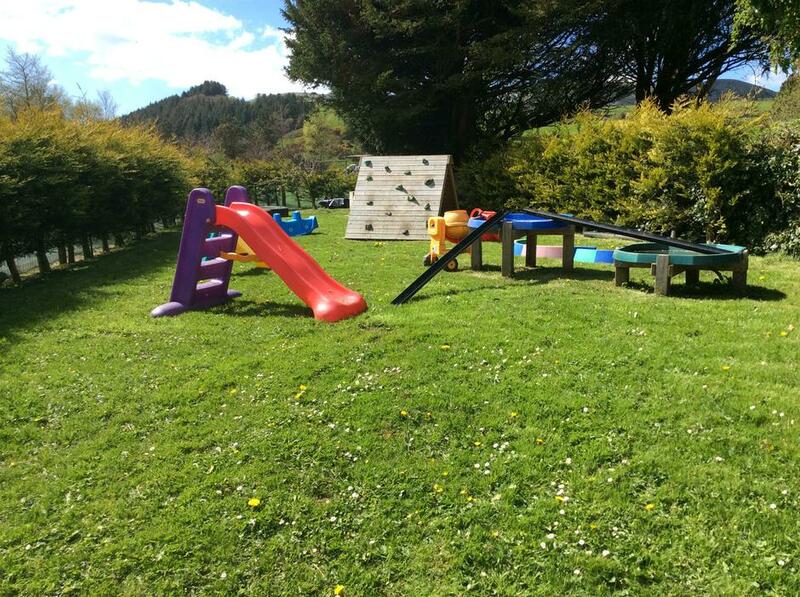 This leads directly to our very own playground where we can ride our trikes, build with our big construction bricks, cook in our own messy kitchen or climb and balance on the climbing wall. 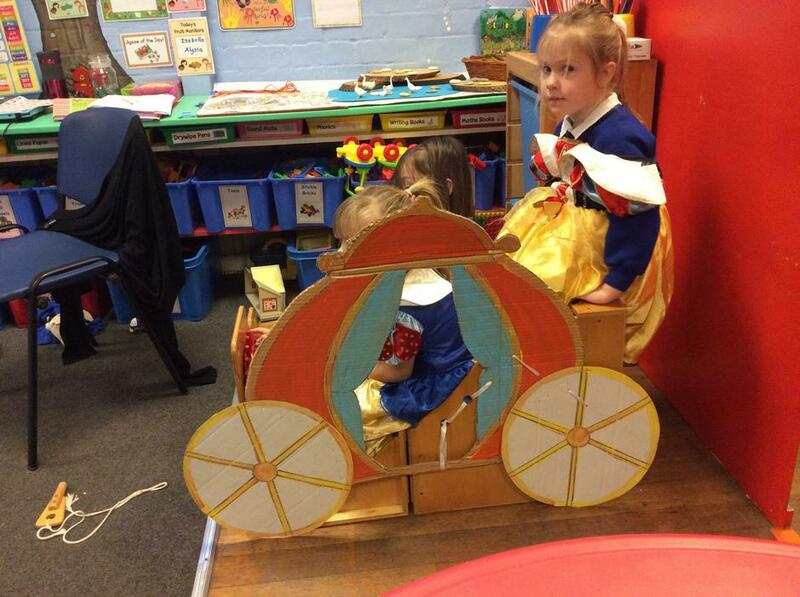 Our teacher is Mrs Huddleston and she is helped by Lisa. 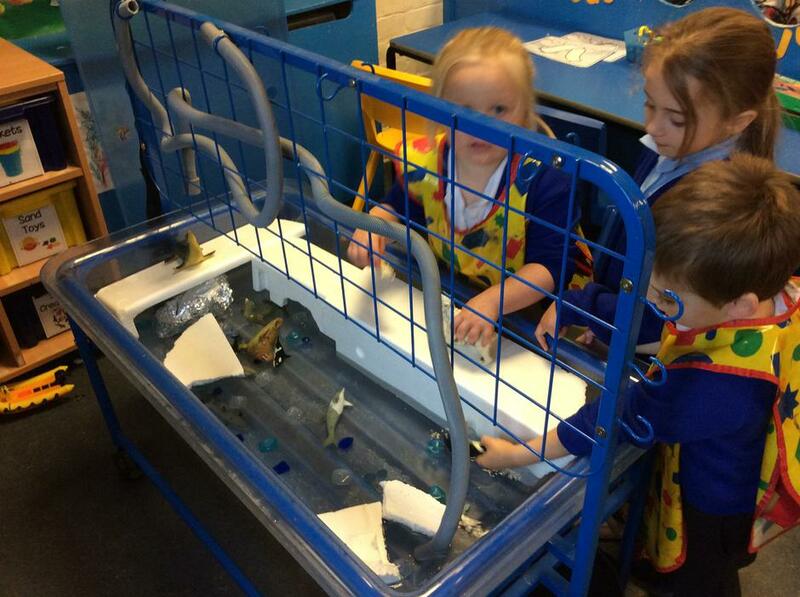 They love playing alongside us and teaching us new things. 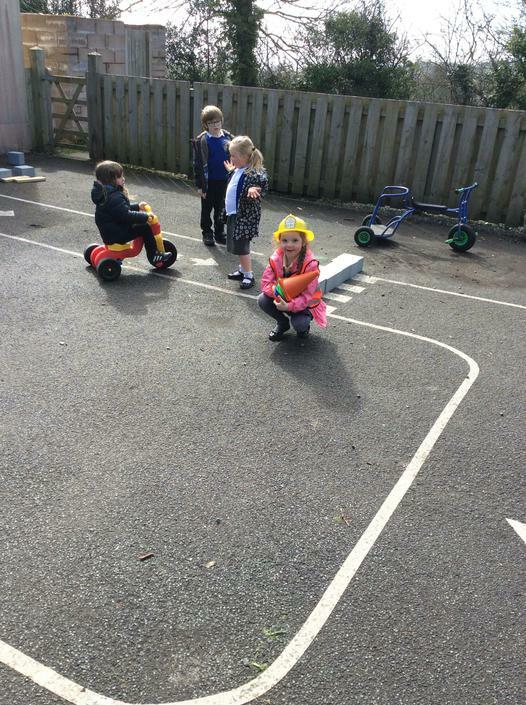 They encourage us to share and play nicely with our friends and to be kind and caring towards each other. 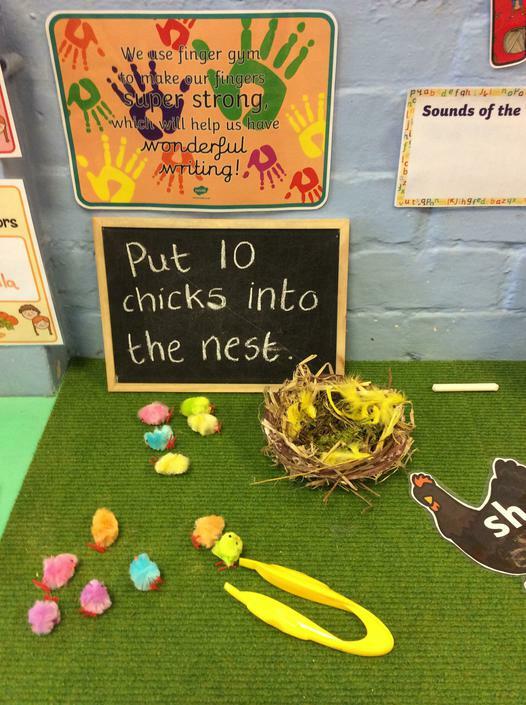 We love to welcome new friends to our classroom so we hope you come and visit us soon!